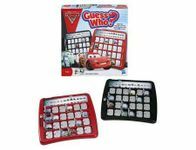 Shift into high gear for the guessing game with the CARS 2 crew! Radiator Springs is full of pranksters who love to hide. Can you find your mystery auto?